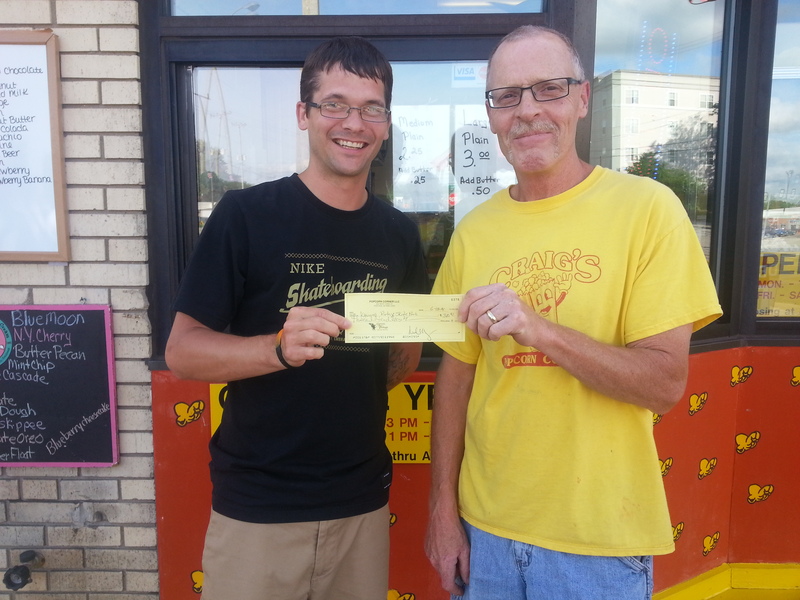 After months of collecting toward his goal of Memorial Day, Mitch Craig of Craig’s Popcorn Corner presented Kyle Little-President of Portage Family Skate Park Project (PFSP) with a check for $310! Every one at the PFSP would like to express their gratitude to Mitch and everyone at Craig’s Popcorn Corner for their hard work raising funds and spreading the word. Mitch stated that they will continue to collect donations for the skate park; Mitch and many other small business’ in Portage have collection cans and other means of donating-look for the PFSP Make Donations Here sign.